Prominent & Leading Manufacturer from Surat, we offer chapati making machine, chapati pressing machine, dough ball making cutting machine and automatic chapati making machine. 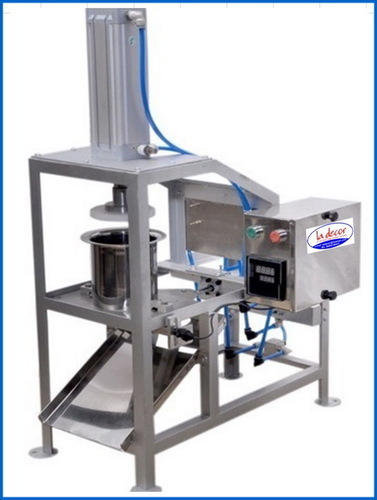 Leading manufacturer, supplier and exporter of wide range of Automatic Chapati Making Machines. 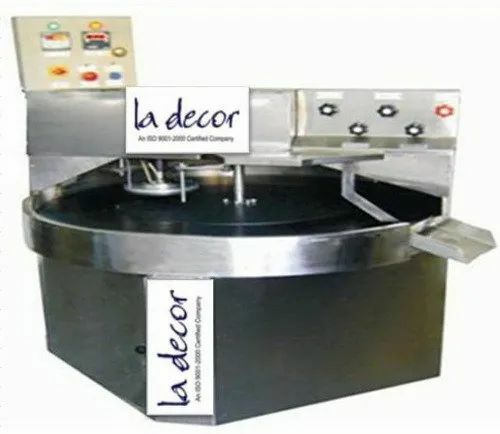 La Decor designs and manufacture a mesmerizing range of fully automatic Chapati Making Machine to impart much of the relief to the workers in the preparation of the meals in various Departments of Institutes, Langars, Hospitals, Schools & College Hostels, Industrial Canteens and Railway & Defense Establishments. Our chapati making machines help in making home-like chapatis in most hygienic manner. Dough just needs to be fed into the hooper and at the outlet you get cooked chapatis. Apart from this no oil is required for the preparation of chapatis. Thus, our chapati making machines offer oil free chapatis at economical prices. Capacity – 1000 Chapati / Hr. Being a well-established organization, we bring forth an excellent assortment of Chapati Pressing Machine. Our offered machine is widely appreciated in the market for its optimum performance and high efficiency. Widely used for making hot and soft chapatis, this machine is availed in different designs and specifications. The provided machine is manufactured by our skilled professionals utilizing high grade components and modern technology. Capacity 1000 Nos/Hr. 2000 Nos/Hr. Elec. Consumption 1.5 Kw/Hr. 2.5 Kw/Hr. We are highly involved in producing a wide assortment of optimum quality Dough Ball Making Cutting Machine to our valuable clients. Offered machine is precisely manufactured using optimum grade components and pioneered technology. Owing to its excellent performance and smooth operation, the offered machine is widely demanded among our clients. Also, in order to cater the diverse requirements of our clients, we provide this machine in different technical specifications. 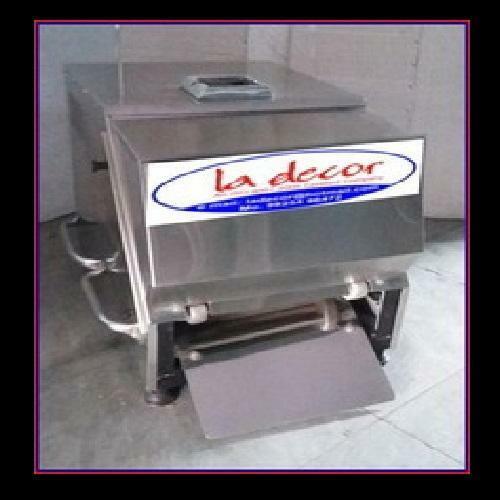 The LA DECOR manufacture and supply Automatic Machine. The machine is semi-automatic, easy to operate, economical, and requires less maintenance. This machine meet up the requirement of various different segments that include Hostels, Large Industrial canteens, Base Kitchens, Nursing Homes, etc. where a large quantity of chapatis are required in very short time. Each Dough Dough Ball Making Ball Making Machine is properly tested for enhanced efficiency and high performance. Suitable for making pedas or dough balls in bulk, the Dough Ball Making Machines are perfect for hotels and restaurants. The machine may meet up the requirement of different segments such as Hospitals Nursing Homes, Hostels, Industrial Canteens, Bhojan shala, Base Kitchens, etc. where a large quantity of "Chapatis" are required in a very short and stipulated time.